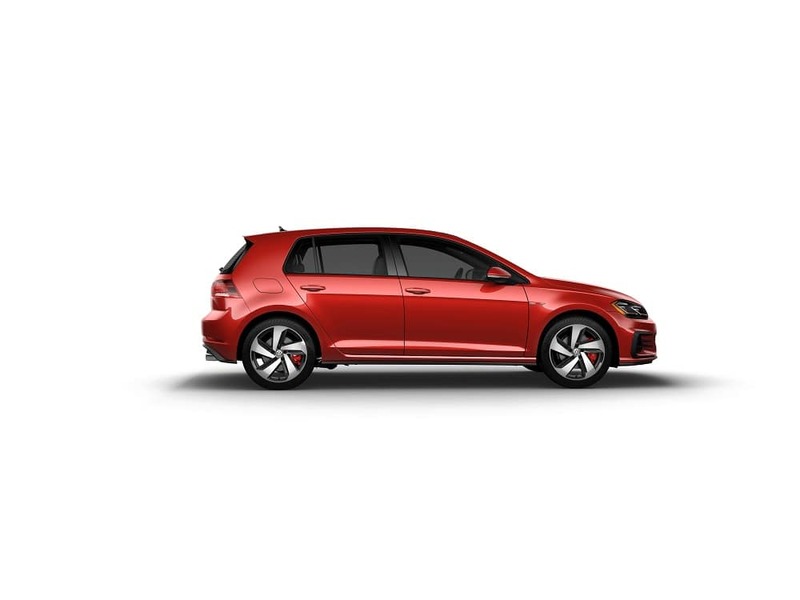 The iconic Volkswagen Golf GTI has maintained its spot as one of the hottest hatchbacks of all time due to its distinct style and impressive performance specs. Over the years, it’s only improved with tech upgrades and stylistic tweaks—but it’s up to you to determine if it’s the right car for your travels around West Valley, Murray City, and Orem. At Volkswagen SouthTowne, we know research is crucial when deciding on a vehicle. That’s why we’ll be providing you with this handy 2018 Volkswagen Golf GTI review. In it, we’ll discuss the most important aspects of this vehicle, such as performance and cargo space. Keep on reading to learn more. Although the 2018 Volkswagen Golf GTI has undergone many upgrades since its heyday, it remains extremely distinguishable—and its updated exterior only enhances its appeal. Standard, as always, are bold wheels that make a statement—in this case, 18-inch Austin alloy wheels with the base model and 18-inch Dallas wheels with the Autobahn edition. And you’ll get LED fog lights, taillights, and running lights that are both practical and sharp. Available color choices, such as Great Falls Green Metallic and Tornado Red, keep the Golf GTI’s more adventurous nature alive and well. On the inside of the S and SE trims is the same plaid interior you may have come to know and love from older generations of the Golf GTI—but it’s cleaner and more refined than ever before. It pairs nicely with the retro gearshift, too. If you’re opting for the Autobahn edition, on the other hand, you get rich titan black leather. Of course, you’ll want to know all about what’s under the hood of the newest version of the hot hatch—a two-liter turbocharged engine that puts out 220 horsepower and 258 lb-ft of torque. It’s “oomph” that you’ll feel on highways, around curves, and up hills. 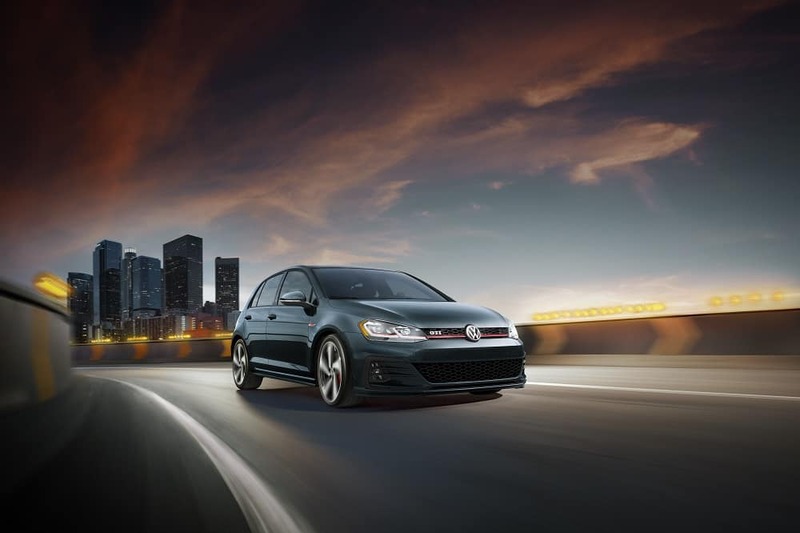 You’ll be able to pair all of that power with either a six-speed manual transmission or a six-speed DSG® automatic transmission with Tiptronic and Sport modes. Tiptronic lets you choose gears, as you would with a manual vehicle, if you have it activated—and Sport mode offers better handling for sportier endeavors. One of the main reasons the Volkswagen Golf GTI was so successful in its earlier years was because it wasn’t just sporty—it was also practical. With an impressive 53.7 cubic feet of cargo space—which is more than is offered by many SUVs—the 2018 Volkswagen Golf GTI is perfectly capable of hauling furniture and bicycles when you aren’t zooming around the streets. It’s also comfortable for passengers. Up front, you get 41.2 inches of legroom and 38.4 inches of headroom. In the back, it’s 38.1 inches of headroom and 35.6 inches of legroom. We hope this 2018 Volkswagen Golf GTI review has been helpful. If you have other questions or want to test drive this vehicle, we encourage you to contact our team at Volkswagen South Towne. It’s our goal to get you venturing around West Valley, Murray City, and Orem safely and stylishly!